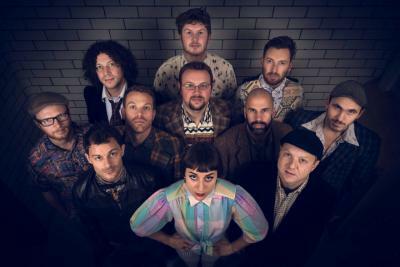 Formed by some of Bristol’s top jazz musicians in 2010, the mighty 12-piece Bristol Afrobeat Project is much more than a tribute to past glories. With a repertoire of new material, self-penned and about to be released on record, the band is a living, breathing evocation of the life-force that is Afrobeat. Driving percussion and brass encrusted rhythms catch the timeless quality of that ancestral funk sound, while the soaring instrumental solos stay true to Fela Kuti’s musical mission to present the hearth of jazz with the soul of Africa and keep you dancing till dawn.